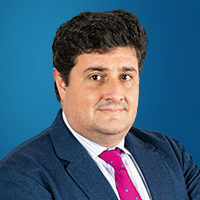 Marco Antonio Moreno joined Sanifit in September 2018 as Vice President of Manufacturing. He brings over 20 years in the pharmaceutical industry with a broad experience in all the Chemistry, Manufacturing and Control (CMC) and Quality aspects from preclinical to commercial development across multiple indications. Prior to joining full time in Sanifit, he was a CMC consultant for the company during 3 years. He performed as an Independent Regulatory Affairs Senior Consultant & CEO in his own company, Moreno-Santurino Regulatory and Quality Assessors S.L.U. In 2004 he was appointed as Expert for the “European Pharmacopoeia Group of Experts 10A”, after obtaining the approval of the European Pharmacopoeia Commission. He also served as a Scientific reviewer for the Journal of Pharmaceutical and Biomedical Analysis, Chromatographia, European Journal of Pharmaceutical Sciences and Pharmaceutical Research. During his professional career, he performed as Lecturer in various Spanish Universities for graduate and Master’s students. He wrote a wide variety of scientific articles and performed communications in different congresses. He received his Ph.D. degree in Pharmacy with honors from the University of Madrid in 2000. On 2005, he obtained the Post-Graduate Specialist degree on Industrial and Galenical Pharmacy, after undertaking an exam required by the Ministry of Science & Education and the Spanish Board of Schools of Pharmacy. He has obtained Master Degrees on: Biotechnological Medicinal Products, Regulatory Affairs, Industrial Pharmacy and Qualified Person´s Activities, Medicinal Products R&D and European Procedures for the Registration of Medicinal Products.